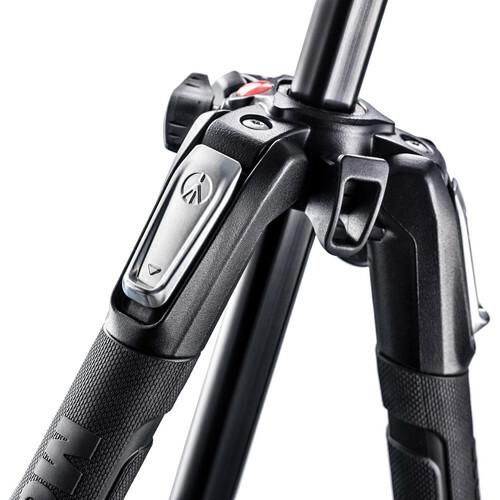 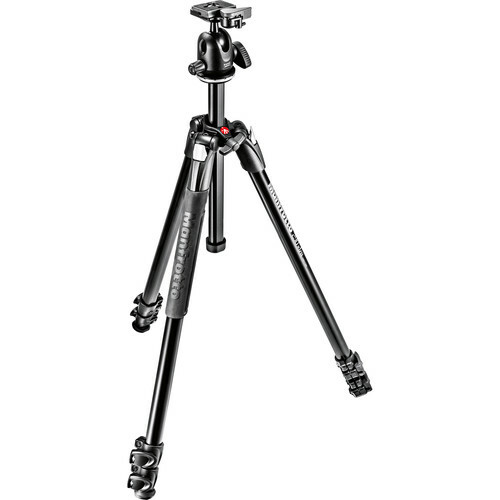 The MT190X3 3-Section Aluminum Tripod with MVH500AH Fluid Head Hybrid Kit from Manfrotto is a versatile, travel-friendly package that pairs a fluid video head with a compact and lightweight photo tripod. 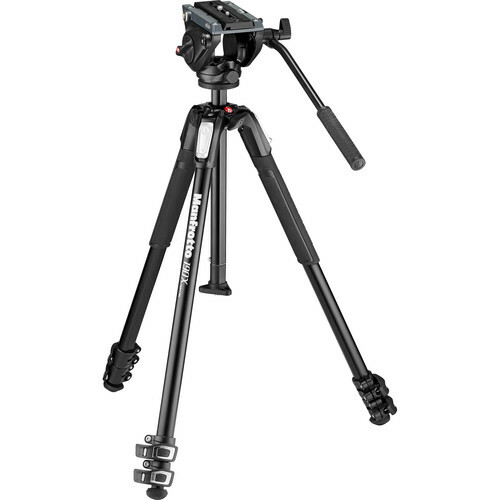 Supporting loads up to 11 lb, the system is ideal for use with DSLRs, mirrorless cameras, and compact camcorders. 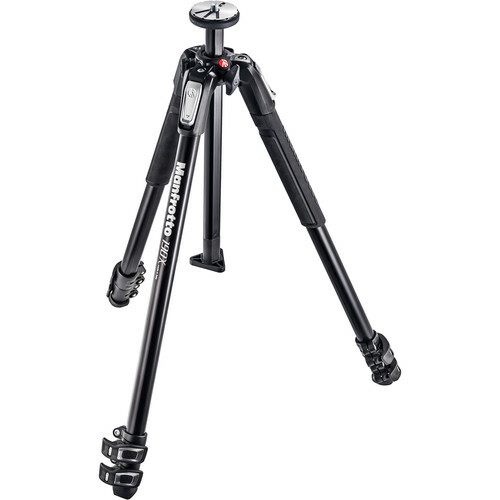 It offers a standard working height of 27 to 57″, with a maximum height of 67″ with the center column fully extended. 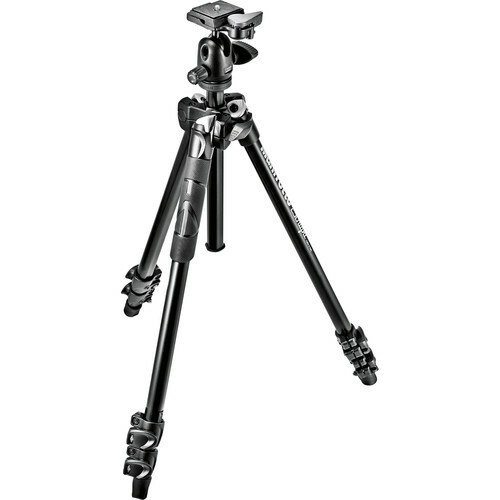 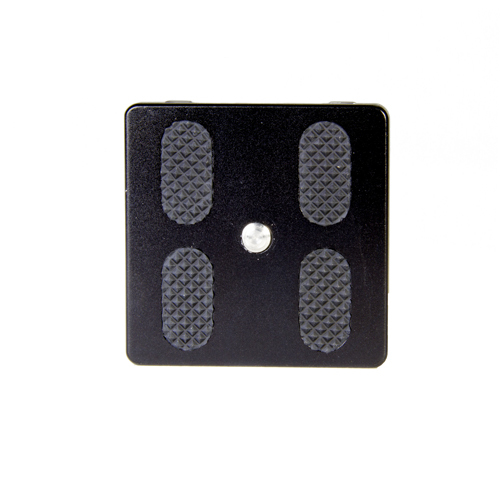 For ultra-low operating heights, the center column can be replaced with an included ground-level adapter to get the mounting plate as low as 3.5″ above the ground with the legs set to the widest angle. 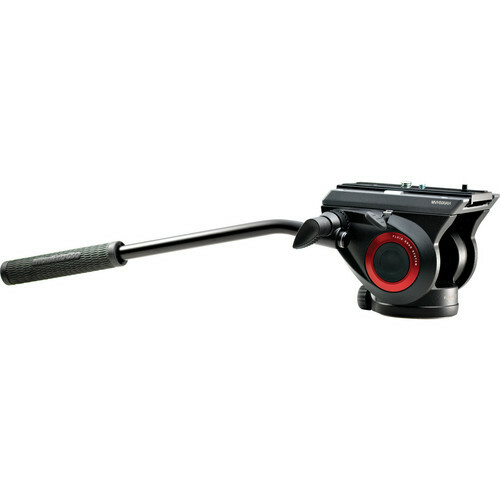 The MVH500AH head features a side-lock quick release plate system that allows for fast and efficient camera mounting from above, fixed fluid pan/tilt drag, and a pre-set 5.3 lb spring-loaded counterbalance.